Jere Grice/Press-Tribune Haughton junior Micah Larkins was one of 12 Bossier Parish athletes who made the LSWA All-State Track and Field team. Twelve Bossier Parish athletes have been named to the Louisiana Sports Writers Association All-State Track and Field team. Honored in individual events were Haughton’s Micah Larkins, Airline’s Jaquavious Hart, Parkway’s Cory Hamilton, Airline’s Jack Wilkes, Airline’s Aaron McGuire, Airline’s Cameron Rice, Parkway’s Alison Ringle, Airline’s Jasmyn Carswell and Louisiana New Tech at Plain Dealing’s Dennisha Chambers. Haughton’s 4X100-meter relay team of Larkins, Antonio Woodfork, Ty Shilling and Javonte Woodard also made All-State. 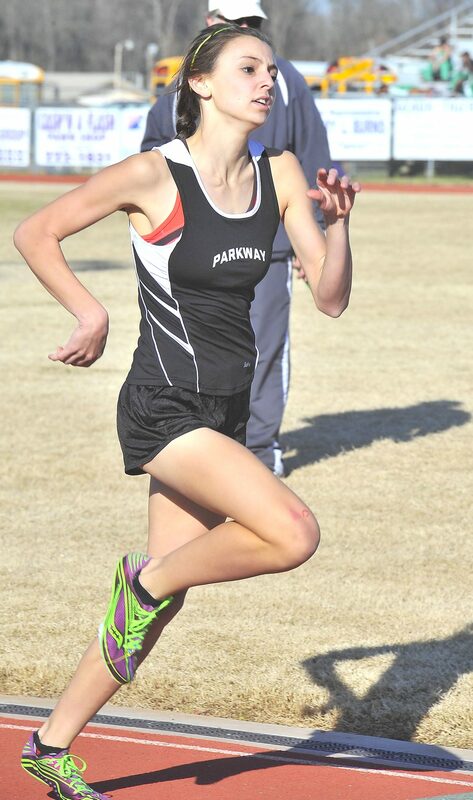 Parkway junior Alison Ringle made All-State in the 1,600 and 3,200. 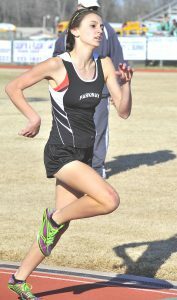 Ringle, a junior, was the only athlete honored in two individual events — the 1,600 and the 3,200. Ringle won the Class 5A 3,200 at the state meet in 11:23.34, the fastest time in any class. Her top time in the 1,600 was 5:16.09. Larkins was the Class 5A boys 100-meter state champ. He ran a 10.63 in the state meet with a best of 10.59. 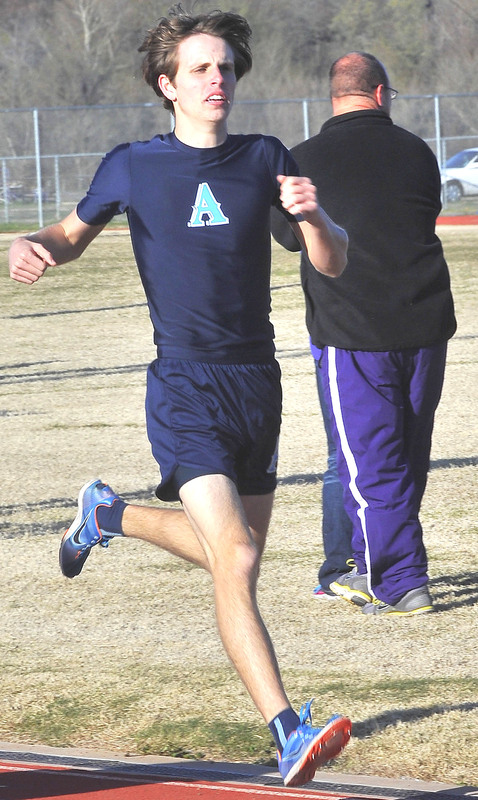 Airline’s Jack Wilkes made the All-State team in the 1,600. He ranked third in the state. Hart won the Class 5A boys 400 with a 47.62. Hamilton was runner-up at 48.60. His season-best time was 47.76. Wilkes had the third-best time in the 1,600 with a 4:22.11. McGuire made the team with a throw of 183-2 in the javelin. Based on a throw of 189-10 in the District 1-4A meet, Benton’s Kevin Flattmann should have been All-State but he wasn’t listed. Flattmann won the 4A state title. Rice had the best triple jump in the state with a winning 47.75 in the Class 5A state meet. He also went 6-8 in the high jump but wasn’t listed in that event. Carswell had the second-best triple jump in the state among girls with a 37-6.25. She was the Class 5A state runner-up in that event. Chambers won the Class 1A triple jump with a 37-2.5. Chris Lewis of Lakeside and Zachary Albright of St. Paul’s shared Outstanding Track Performer honors on the boys’ team. Lewis led the state in the 100 (10.46) and 200 (21.45). Albright ranked No. 1 in the1,600 (4:16.43) and 3,200 (9:20.20). The Outstanding Field Performer was Anthony Taylor of John Curtis. Taylor ranked No. 1 in the shot put (60-4) and second in the discus (161-6). Mikiah Brisco of Baton Rouge High was named the Outstanding Track Performer on the girls’ team. Brisco ranked No. 1 in the 100 (11.55) and 200 (23.85). Rebekah Wales of West Monroe won named Outstanding Field Performer. She ranked No. 1 in the javelin (152-6). Wales tied her own Class 5A record in the state meet. The All-State team was selected by Bruce Brown of the Lafayette Advertiser in conference with LSWA members.